For so many families around the globe, Europe is always going to be one of the very top holiday destinations. As a continent it has so much to offer, and in such a huge variance, that you can’t really overlook it if you want to see lots of the world. Something in particular which Europe has to offer is history, some of the most interesting history in the world in fact – with many of the world’s best ruins to boot. But it’s also possible to get away and lounge in the sun, and that’s why it is always going to be a favourite destination for families everywhere. However, if you want to say that you have explored Europe as much as possible, there are a number of locations you will have to cross off your list first. You really haven’t done Europe until you’ve been to these places at least. Speaking of Europe’s history, there is hardly anywhere better to experience it upfront than in the Italian capital of Rome. This city is in many respects the birthplace – or one of the birthplaces – of modern civilization, and for that reason alone you should make sure you visit Rome at least once in your life. There is so much to do in Rome that it is hard to list them all, but a quick perusal trough just some of the favourites will show why it is such a firm favourite for travellers of all kinds. To begin with, let’s think about the Vatican. Anyone who has visited the Vatican will tell you that it is something you need to set apart an entire day for, as it is so sprawling and massive and you don’t want to miss out on any detail. If you are lucky, you will be there on a day when the Pope is, but in a sense it’s better the other way around, as the queues will undoubtedly be smaller. After a lengthy tour through many rooms, adorned with some of the most famous pieces of art and architecture in the world, you will come to the world-famous Sistine Chapel, with the legendary room painting by Michelangelo. This alone is reason enough to visit the Vatican, but actually there is much more besides – and if nothing else, you will be blown away by the sheer amount of luxury and pomp that exists in this smallest nation state on Earth. Rome is about much more than the Vatican, however, and you will need a few days of constant walking to see even the bare minimum of the remaining sights. Some of them are completely iconic: the Coliseum cannot be skipped over, for instance, nor can the Spanish steps. But even after all this exploring, you will also find that there is an underbelly to Rome you might not have expected: a fascinating nightlife full of interesting characters, all set against one of the most stunning crumbling backdrops anywhere in the world. 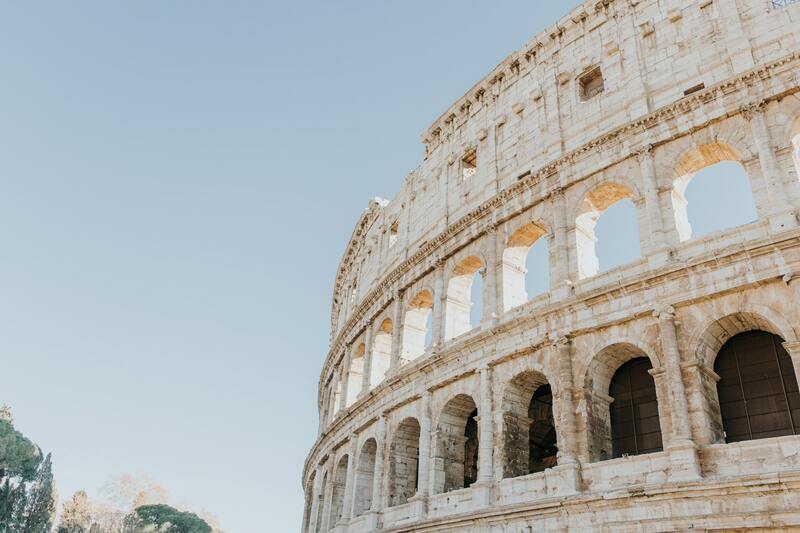 Rome is an absolute must-visit for single travellers, couples and families – and one of the hubs of Europe which you can’t overlook on any tour of the continent. If there is any other European destination which in any way matches or approaches the history and culture of Rome, it is the capital of nearby Greece, ancient Athens. Where Rome birthed one half of modern European civilization, Athens was the founding place of the other – and in many respects, a great deal more of the things which we currently hold dear in our modern cultures around the world. Without Athens, we would likely not have democracy, philosophy, political science, or even modernized central currency. But you don’t even need to care about these things to consider a trip to Athens to be essential as a part of Europe. As it happens, there is so much to see and do in this ramshackle old city, and you will likely find it hard to know where to even begin. One good place to start however is the Acropolis, the monumentally huge lump of rock which sits at the centre of the city, and is home to the Parthenon, one of the world’s most incredible still intact ancient ruins. This is an incredible sight, and a great place to view the rest of the city from too – but all in all it will not even take up a day. Much of the beauty of Athens is found in the way in which the old and the new sit eternally side by side; you might be walking down a fairly modern-looking street, and suddenly come across an ancient ruin without ceremony or protection. This is the kind of experience you can’t get just anywhere, and Athens is a must-see for this if nothing else. If you have seen Rome and Athens, you are on a pretty good track to seeing much of the historical basis of the continent of Europe. But there is much more to European travel than seeing historical sights; there’s also the simple act of having fun surrounded by the people you love. So where might be essential visiting for that kind of holiday? As a country, Spain receives more annual visitors than any other European nation, and if you have ever been there you will probably understand pretty well why that might be. Spain is in many respects a sun-lover’s absolute perfect paradise, with its many white beaches to choose between and countless beautiful holiday resorts for you to relax in with the whole family. No matter where you choose to go in Spain, you will almost certainly be able to expect an enjoyable and relaxed time which you are unlikely to get in much the same degree anywhere else. In either case, you can’t say you’ve done Europe if you have not visited Spain at least briefly. But what exactly should you consider doing if you are thinking about visiting this European staple? To begin with, some of the cities are among the most beautiful on Earth, with Barcelona and Madrid being particularly stunning and memorable. In Madrid you can expect a fairly gentle and easy-going kind of experience, with the opportunity for plenty of drinking – while Barcelona could strike you as a little more of a party town, and has something of a rougher edge to it. Both are incredible for their architecture, however, so if that interests you then you will probably be spoilt for choice in visiting Spain. But there is much more to Spain than the cities, and in fact many visitors never see the cities, instead opting for staying somewhere more coastal or rural. Some of the villas in Spain are exactly what you would expect from a postcard, and it’s no surprise that you have plenty to choose between all over the country, nor that they are incredibly popular. Wherever You decide to go, this is always an option, and it’s something which you will be able to use as a place for real relaxation and enjoyment. Great for a family getaway or a romantic chill out week, and one of the absolute best sights anywhere in Europe. Spain is essential viewing for the Europhile, but perhaps you have already done it to death and you would prefer something a little less usual, but still decidedly European. Well, we have just the idea for you. To see a whole other side of Europe, you might want to take a trip to the Nordics, in particular a country like Finland. Forget the sun and surf of Spain – here you can expect plenty of warming yourself by a log fire with something healthy to drink as the snows fall outside. Whether or not this is your usual idea of a holiday, the truth is that it is absolutely a part of European life which you can’t miss out on if you want to see as much of the continent as possible. What’s more, some of the trips you can take in Finland are incredibly stunning, and the kind of sights you really can’t find anywhere else on Earth, let alone Europe. 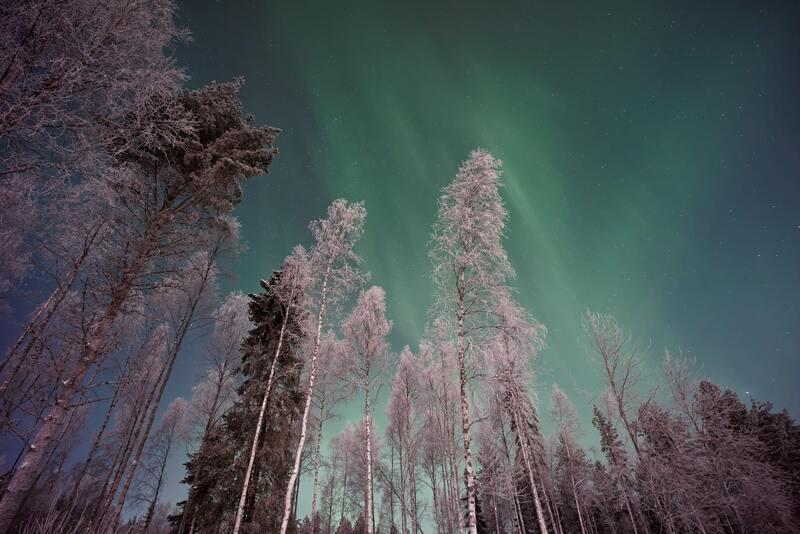 For the ultimate example of that, you might want to think about trying to go and see the Aurora Borealis, or northern lights, which you can hopefully view from an igloo hotel room in the region of Lapland. This is the kind of holiday you will never forget, especially if you do get lucky with the lights, and it’s something that will give you a whole other sense of what Europe is and what it’s really all about. If you want to shake up your understanding and experience of Europe, then visiting Finland and in particular Lapland will be a great way to do so. Just be prepared for a little cold. The above are just a few examples of the most intoxicating places in Europe, but they should all be considered essential visiting for anyone wanting to see as much of Europe as possible. What’s more, they offer a real diversity which you can’t find just anywhere.